1. THIS IS AN OFFICIAL COPY OF THE GAME AS A STEAM GIFT SYSTEM, AS A UNIQUE KEY TO ACTIVATE! 2. AFTER YOU ACTIVATE THE GIFT ON STEAM ACCOUNT - THE GAME IS TIED TO YOUR ACCOUNT ONCE AND FOR ALL, THEN RE-ACTIVATE THE KEY! It can only be activated in the following countries: Armenia, Azerbaijan, Belarus, Georgia, Kyrgyzstan, Kazakhstan, Moldova Moldova, Russia, Tajikistan, Turkmenistan, Ukraine and Uzbekistan. !
! Languages: English, French, German, Italian, Spanish ! Get ready for unrestrained madness! Play as one of four trigger-happy mercenaries and destroy anyone who gets in your way! 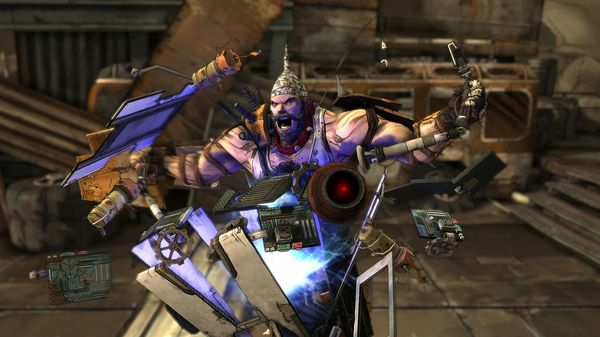 Netpurchase action, constant battle, an incredibly large Arsenal of weapons, role-playing elements and co-op mode for four players makes Borderlands will change your idea of these shooters upside down. 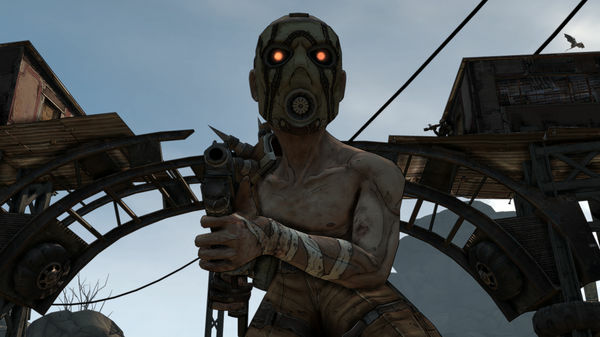 You will play for a mercenary, located on the desolate planet of Pandora, where there are no laws, no rules. You have only one goal: to find a warehouse with a powerful alien technology codenamed Refuge. RPG shooter: a mixture of insane action and progression of the character in the same way as in role-playing games. Cooperative chopper: play alone or four and become a maniac! Quintillion guns: kick the good out of enemies with ractometry shotguns, stun-guns, machine guns, electrical discharges, and many other weapons. Radical graphic style: new visual style combines traditional rendering techniques with models and textures, hand-drawn. All to contact me whenever you need. Fierce battle on wheels: get behind the wheel and battle the opponent, riding on his formidable tank. 4. In the pop-up window with an offer to accept a gift, Click "Accept" a gift! 6. Download and run the game using the Steam client.